Two new supplements for King Arthur Pendragon — Book of Uther and The Great Pendragon Campaign: King Uther Expansion — mark the inauguration of our new website and connected webstore. Book of Uther is a 160-page supplement that provides more details on the workings of the Royal Court during the tumultuous life and times of King Uther Pendragon. Hobnob with great barons, famous heroes, pious bishops, and reverent abbots. Gossip with the court knights who guard the king and their privileges with equal fervor. Travel with the king on his Progress, learn the extensive powers of his sheriffs, and witness the vastness of Uther’s demense. Book of Uther contains a courtly scenario generator, and additional rules for grinding the Rumor Mill provide powerful tools to ensure that Player-knights have opportunities to directly interact with the royal court. The Great Pendragon Campaign: King Uther Expansion presents a never-before-seen, five-year expansion to the award-winning The Great Pendragon Campaign that gives the option for starting a campaign in Year 480, the fateful year that Uther inherits the crown and forges the kingdom that will one day be the birthright of his son, King Arthur. Please note that The GPC: King Uther Expansion is included in Book of Uther, so there is no need to purchase both new books. You can sample the material added to KAP in these new books with a free download of the A Chronology for the Uther Period. 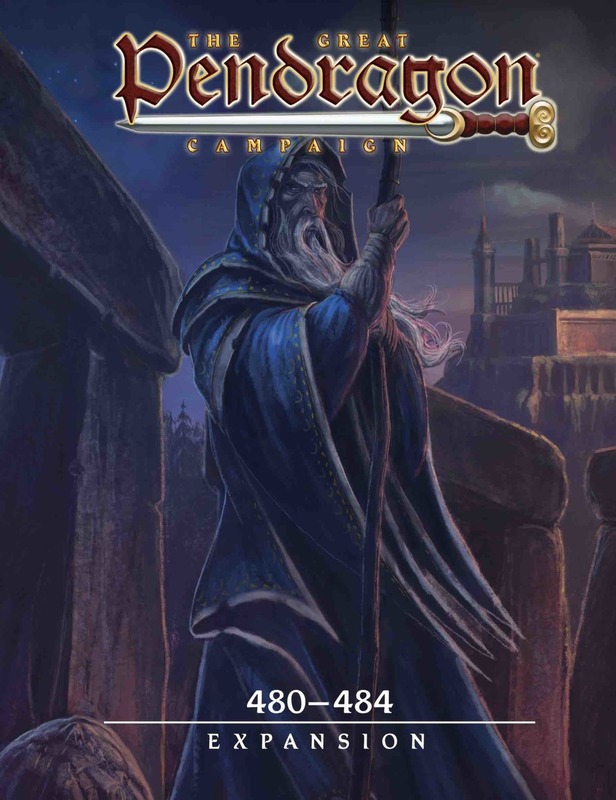 This too contains revisions to The Great Pendragon Campaign and presents an overview of the years 480-495. These new supplements are available now as PDF downloads on this site. Both will also soon be offered in PDF and POD editions at DriveThruRPG.com. 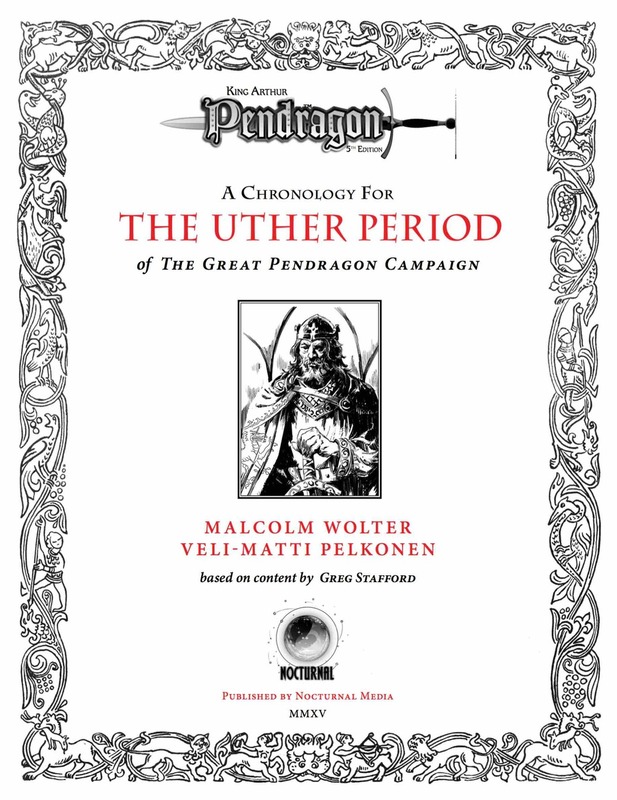 If you purchase the PDF of Book of Uther here then we’ll provide you with a coupon for a $10 discount off the POD price when the print edition is available for purchase.